Re: The Closet Branch - A Low-Tech Layout. Dats - Clever use of old wiper blades. I'll have two to contribute to that kind of project after this winter is over. Keep posting your low cost details ideas! Texhorse - I have always thought that my ancestors from your side of the pond (some from Wales, some from Prussia) must have been insane to settle in the north central part of the US. It's tough now but I wonder how they survived weather like this back in the 1800's. No, on second thought, the really crazy ones settled in the central provinces of Canada. I had a read of that link, thanks. Very scary stuff - it’s amazing how easy it is sometimes for the power and control systems on big machinery to be taken a little for granted, with horrifying consequences. See the same with my industry (construction), and every incident (disguise word for heartbreak) is generally a result of a whole series of little things. Dats - I was lucky enough to pick up an NCE Power Cab tonight. One of the other members of the local model railroad club had one that he was planning on using for an On3 layout, but that set up never came to be so he sold it to me for what he paid for it. It is missing the power supply but I have a number of 12 volt DC power supplies around. I just need to find the correct plug that matches the receptacle for the Power Cab. My N scale railroad is and will remain straight, good old DC because the vast majority of my locomotive fleet are older Atlas Alco units that would require major surgery in order to convert them to DCC, however I do have an HO test track / switching layout where I intend to use the Power Cab. So, I guess this means that I am joining the DCC world, just not on my N scale empire. Hi Tom, congrats on the NCE power cab. 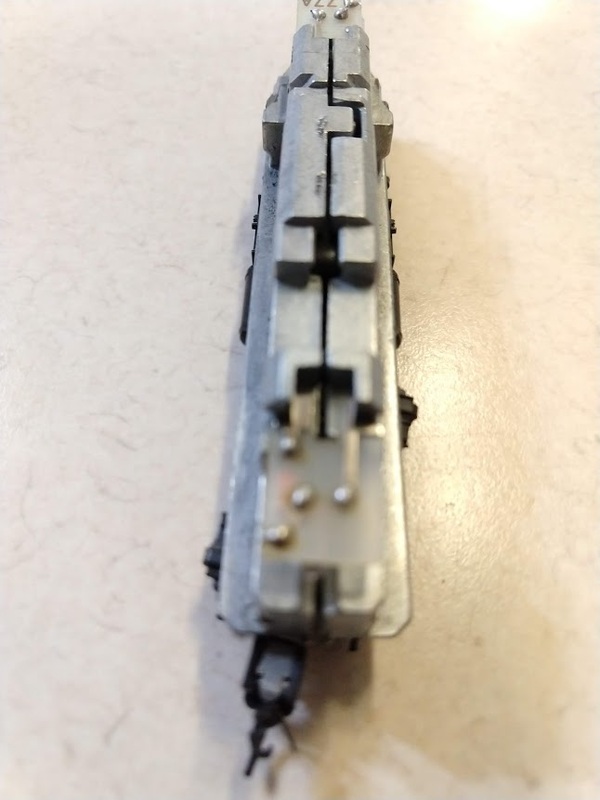 Converting your older Atlas N scale locomotives maybe easier than you think, if they happen to be the Atlas / Kato frames with the split light boards. 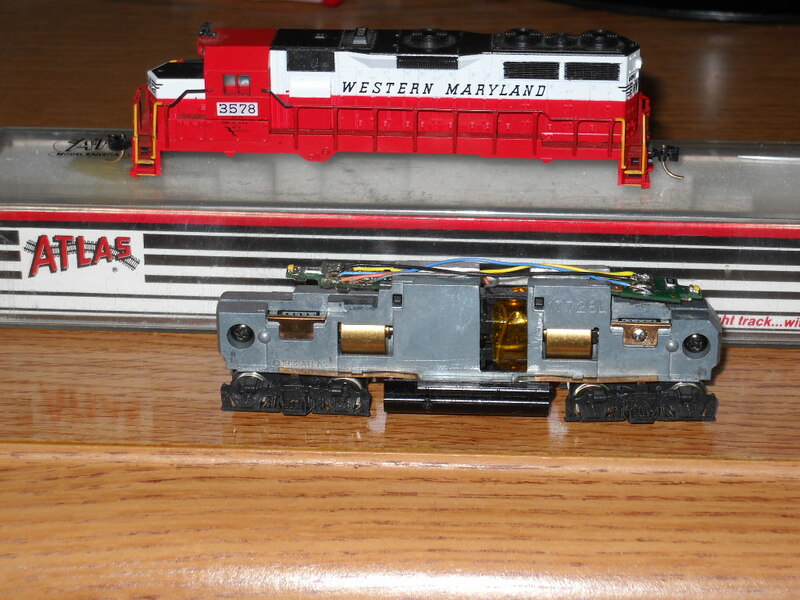 TCS makes decoders that are not quite plug-n-play, but are fairly straight forward to install in those locomotives. Here's one in my Atlas / Kato GP35. 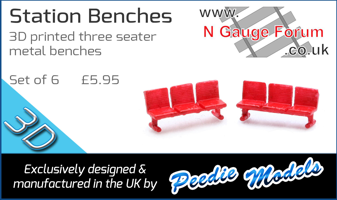 I've also purchased newer plug-n-play frames for older Atlas locomotives. At that point it's just a matter of putting the mechanism in the new frame with a plug-n-play decoder. Nothing against old school DC, I still have a few DC locomotives that I'll probably never convert to DCC, so I have my current Hollow Core Door layout wired so I can use DC and DCC, just not at the same time, of course 99% of the time I'm running DCC. Rich - Thanks for the idea about new frames. I hadn't thought about that and I'll check into it. Is this where you went to order them? And I have to say great minds think alike. 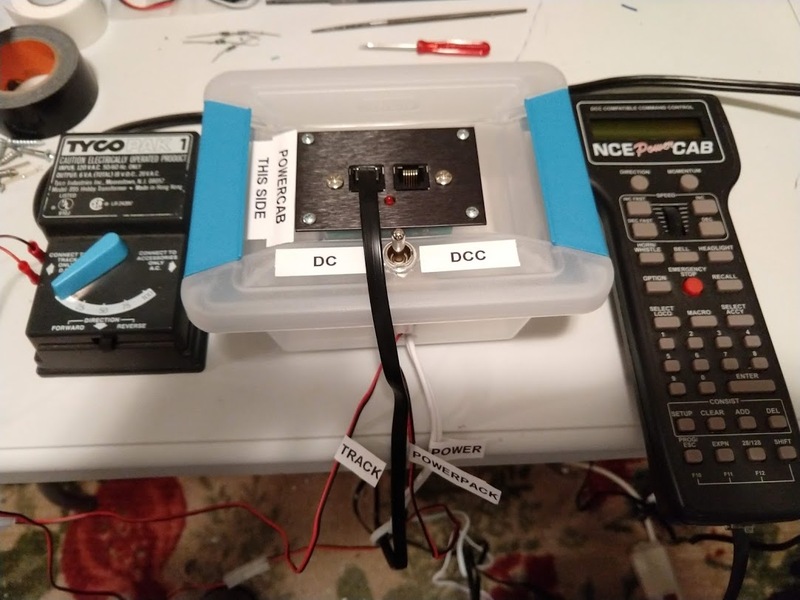 I assembled a small control box that allows me to switch between DC and DCC for the small HO switching railroad that I use for testing the DCC installations on the locomotives that I run at the local club. The documentation that came with the PowerCab says that NCE doesn't have the ability to run DC locomotives in a manner similar to Digitrax, but that's no problem as I don't run more than one locomotive at a time. Here's what the box looks like. It's a small plastic storage container that I picked up at the local big box home improvement store for under $2.00. Thanks again for the hint about updating the frames on the locomotives. I might just give that a try. Rich is correct by the way! If I can convert an old loco which was not DCC ready to an assimilated DCC loco, anyone can do it! Like the DCC / DC box by the way! I think having a layout capable of running either DC or DCC is having the best of both worlds. Okay, two separate controllers need to be bought. My controllers power the layout via a DPDT centre off switch, (which I presume is what @edwardstd is using - clever little solution for mounting the controller and switch by the way), so, depending on what I want to run, I just throw the switch. If I see an engine I want, I can buy it knowing it will run on the layout, be it DC or DCC. Hi Tom, Yes I've purchased my replacement frames from the Atlas Online store. Nice converter box for your DC / DCC operations. Mine is far simpler, it's just a plug that is wired into the track bus. I simply unplug the DCC system and plug in the DC transformer. Even though you can run DC locomotives on the Digitrax DCC systems using address 0, I prefer not to, the humming noise they make is a little disheartening. I've also read this is bad for certain DC motors. Dannyboy - I agree about picking up new locomotives. 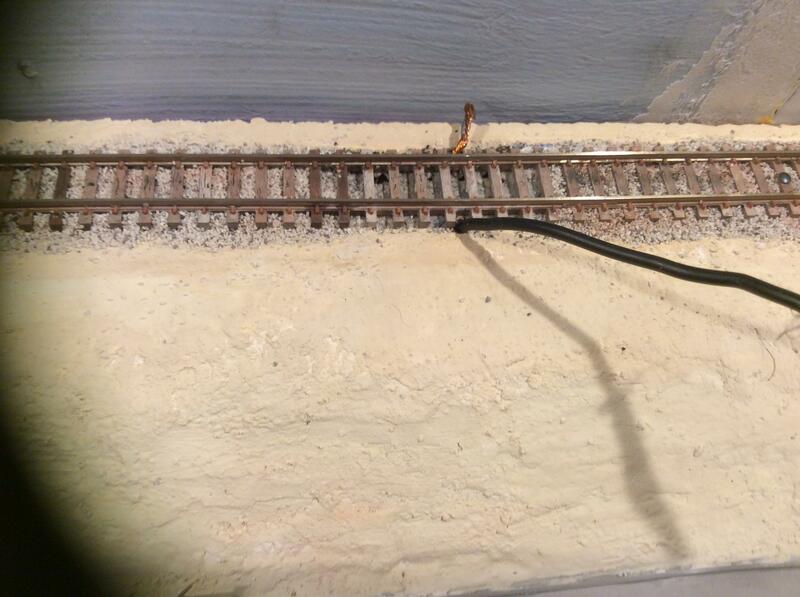 My N scale railroad is wired for DC and the track is divided into blocks that can be assigned to one of two cabs. 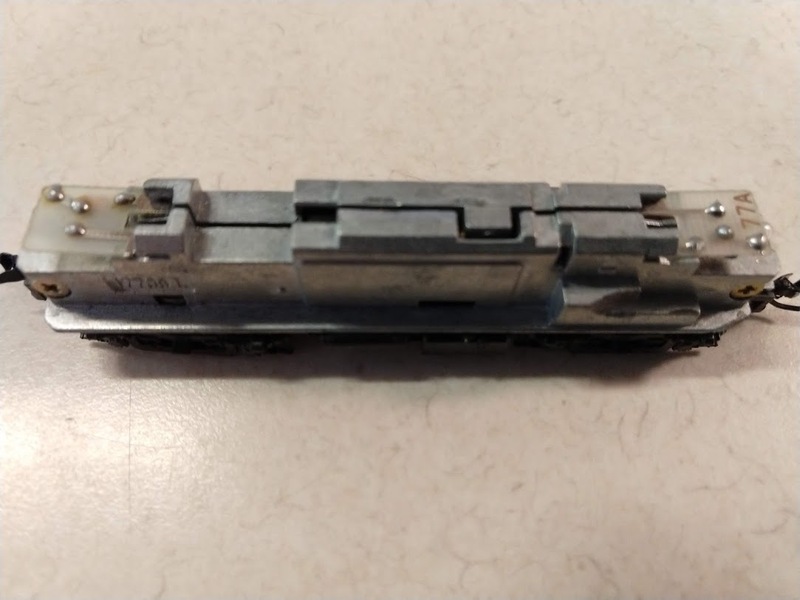 Now with this more-or-less portable DCC arrangement, in the future if I'm lucky enough to pick up some Chicago & North Western locomotives that are DCC out of the box, or at least DCC-ready, I can swap out one of the two DC cabs and plug in the PowerCab. That way I can run the railroad as either DC or DCC without having to rewire everything. This would serve as sort of a transition period from DC to DCC. Unfortunately, now that the C&NW has been in the "fallen flag" category for quite a few years, it's harder and harder to find any new locomotives lettered for that railroad. Not only are the Alco RS-3s and RSD-4/5s that Atlas is currently selling not DCC ready, none of them come decorated for the C&NW either. So it looks like I'll be following Rich's instructions for upgrading the ones that I do have. Rich - I second that motion about DCC being tough on DC motors. At our local club one of the guys was running a DC engine using the Digitrax system and it sounded like a coffee grinder. I think that I'll fire off an order to Atlas for some new frames. Did you have to change out any of the other components, like the gear towers for example? Hi Tom, For the models I have, all the original parts fit in the new frames. Now if you have any of the older Atlas / Kato locomotives the frame swap may not work, as the locomotives used the Kato gear towers. In that case I suggest trying the TCS CN or CN-GP decoders, like what I used on my Atlas / Kato GP35. The TCS CN decoder replaces the split light boards that came in the original locomotive. 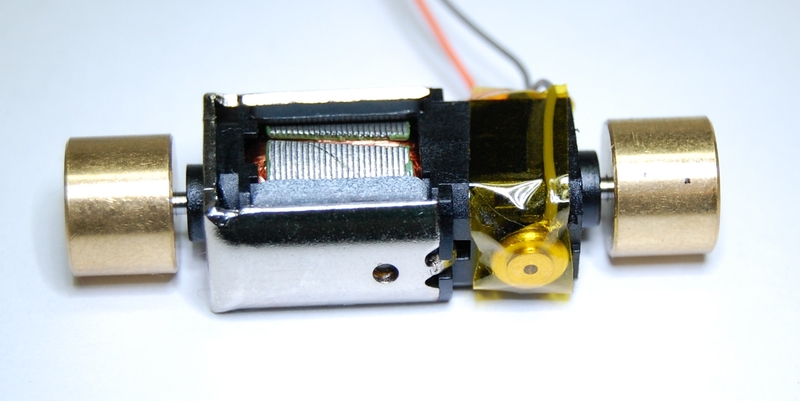 You then have to attach the orange and gray wires to the motor and isolate the motor with Kapton tape. Then is just a simple matter of cutting the wiring to length and soldering it to the rear half of the decoder. It sounds more complicated than it really is, if I can do it anyone can. 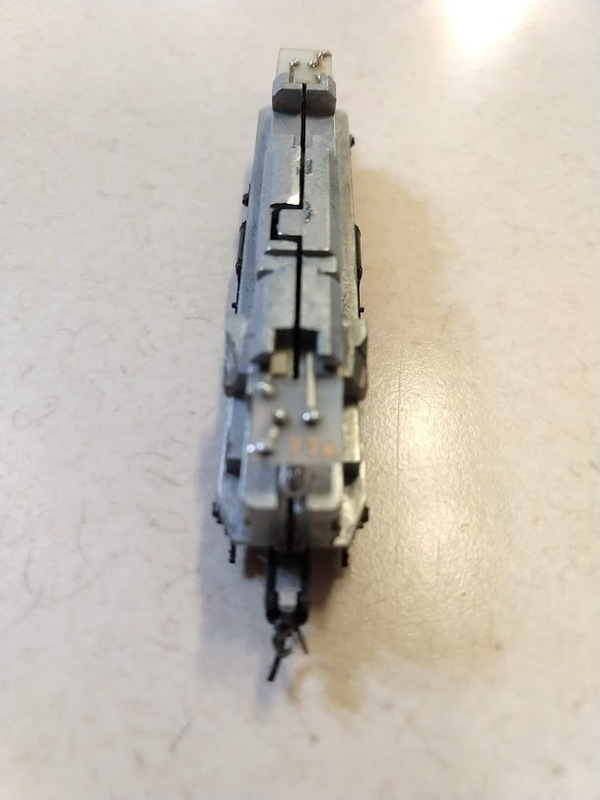 I would check here first just to make sure the locomotive you have is compatible with a newer locomotive that has the one piece light board / DCC plug-n-play decoder. Thanks, Rich! I appreciate this hints. What I think I should do is to order one set of frames and see if they fit. They are only a few dollars each so if they don't work, it's not the end of the world. Here are some photos of the frames that most of my Atlas Alcos have now. They are solid on the top and it doesn't look like those decoders that go from end to end will work. I did find a TCS N scale decoder that might work, the CN model. It has wires connecting the two end circuit boards instead of the long, narrow circuit board. If the newer frames won't fit the old motors and gear towers, I'll try that one out. I'll post what I find out. Hi Tom, Look closely at the decoder in my Atlas GP35, that is the TCS CN decoder. Aha! I had to click on the photo three times to finally get to where I could zoom in but now I see the wires connecting the two ends. That will work. Thanks again for the help. I was about to send away for the new frames but this looks like the thing to do. I just finished putting an old Lenz decoder (came free from a friend of mine) into an ten year old HO Atlas/Kato Alco C-425. This was a similar situation as it was definitely not anywhere near DCC-compatible. I had to slice up the light bar in order to install LEDs and then take out half of the weights. It was tough enough to deal with in HO. I was having bad thoughts about having to do something similar in N but that CN decoder looks entirely too easy. I'll shoot out an order for one of those CN decoders and give it a try. A while ago, I wanted to buy Life-like/Walthers GP38-2 but I chickened out because it wasn't DCC ready. Anyway, my work schedule is still crazy long. I haven't done any modeling but participating on YouTube live chat for a short while. 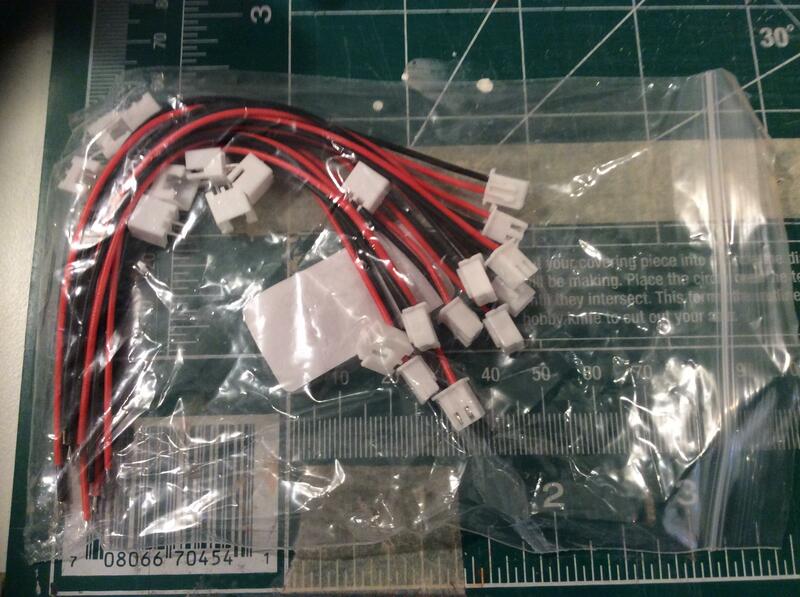 A slightly good news is today ten for $0.66 free shipping electrical connectors arrived from china. After Webbo's suggestion, I was looking for it on ebay and found these. It seems ok for my purpose. A slightly bad news is that my leftover wires are all too big for a wobbly track and I'm still waiting for $0.11 free shipping eBay wires from China. 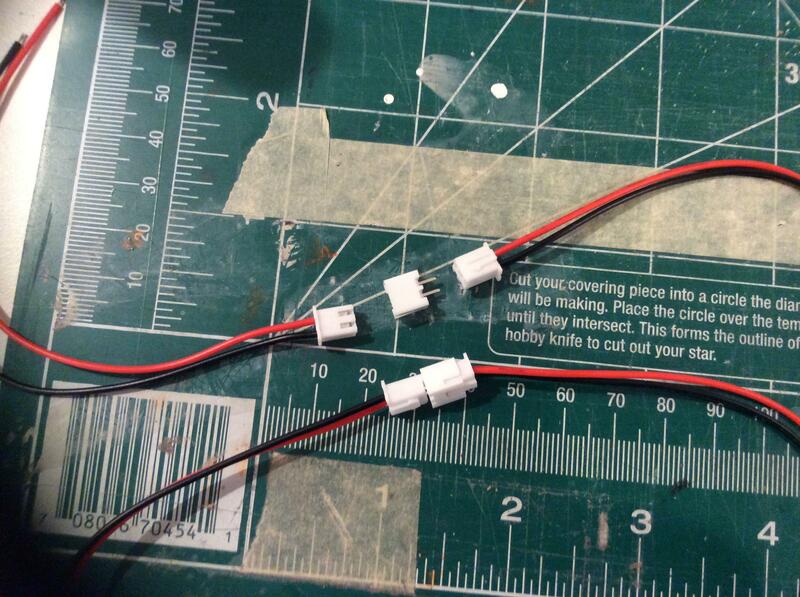 Hopefully I can start modeling soon with my fancy $0.11 wires. Dats, Do you have a Dremel motor tool? 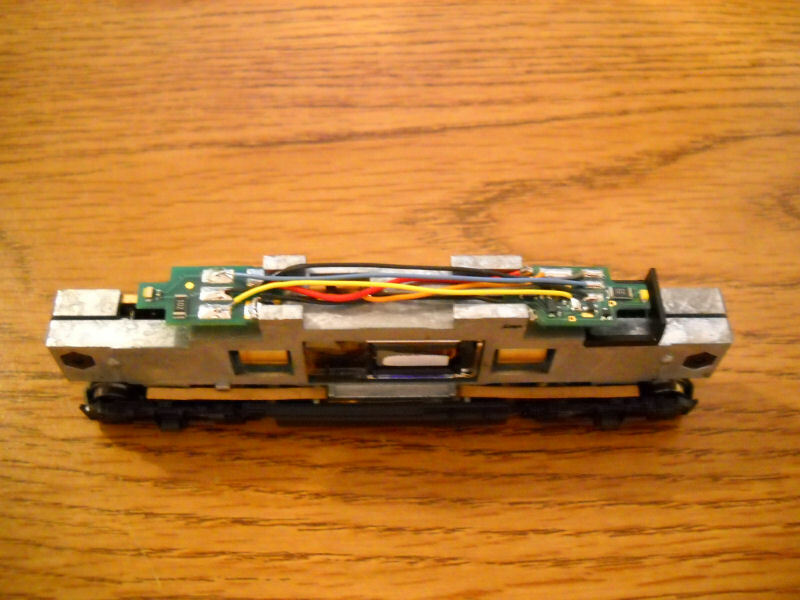 If Yes, then it's easy to add a DCC decoder to the Walthers / Life-Like GP38-2 model. All you have to do using your Dremel tool is cut two slots in the front of the frame, to slip the front half of the TCS CN decoder into. The slots are only cut long enough to accept the brass wipers on the front half of the decoder. The TCS CN decoder works great for these locomotives, with just the above slight modification to the frame.